Ladies and gentlemen, welcome to 50 Cent Base! 50 Cent Base is your one stop source for all your 50 Cent needs! We have a large amount of resources for you to browse through and download, one of the most popular ones amongst fans being our 50 CENT LYRICS. 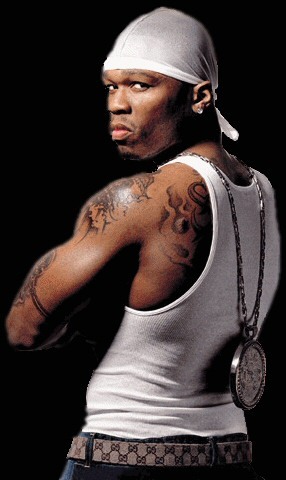 We also have the largest collection of 50 CENT PICTURES on the internet so be sure sure to check that section out! There is a lot of content for you to browse and download here, we offer many cool things such as wallpapers and and screensavers for you computer, simply use the navigation on the left to browse all the different sections. We hope that you enjoy your stay here at 50 Cent Base.